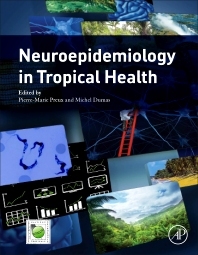 Neuroepidemiology in Tropical Health covers major neurological diseases of relevance in tropical settings and examines the specificities of epidemiology of neurological diseases in the context of tropical countries that face many challenges when compared to the developed world. Part One focuses on methods and their eventual specificities, and how such methods, like sampling, can be adapted for specific scenarios. Parts Two and Three discuss environmental factors and their consequences for neurology in the tropical world, as well as large geographical areas and their specificities. Finally, Part Four presents relevant neurological diseases in in-depth chapters. This invaluable information will help readers recognize the various neurological conditions presented, with the inclusion of their aetiologies and treatment in tropical areas. The book therefore fills a gap in the neuroepidemiology literature, with chapters written by an international collection of experienced authors in the field. He is a neurologist specialized in Epidemiology, Biostatistics, Clinical research, and Tropical Medicine. He completed a PhD in Epidemiology and Public Health, and is Professor of Epidemiology, Vice Dean for Research at the School of Medicine, University of Limoges, and member of the Scientific Council of the University. He is an advisor to Inserm, ANR, WHO, French Clinical Research Projects (PHRC), and the French-speaking University Agency (AUF). He is a reviewer for many scientific journals including The Lancet and The Lancet Neurology. He is a member of the editorial board of Neuroepidemiology. Prof Preux is a recognized expert in Neuroepidemiology, Tropical Neuroepidemiology, in particular in epidemiology of epilepsy in developing countries. He has been the tutor of more than 15 PhD theses in Neuroepidemiology. He obtained several grants in particular from the French National Agency for Research (ANR), and AXA Research Fund. He contributed in more than 300 papers (267 indexed in Medline) and has been invited to speak in more than 40 international congresses. He is neurologist and specialized in tropical medicine. 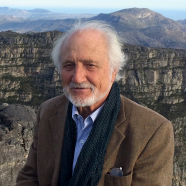 His research activities have been done primarily in tropical neurology, first in Dakar, then in Limoges where he founded the IENT. Two types of research emerged from the Institute’s activities: Collaborative projects with the tropical neurologists and targeted projects in tropical neuroparasitology, in particular relating to African human trypanosomiasis and cysticercosis, and tropical neuroepidemiology, especially epilepsy and comparative epidemiology. These projects have led to: the creation of a Research Unit and the training of many foreign medical and doctoral students; the publication, nationally and internationally, of more than 600 scientific papers, 72 chapters in textbooks of tropical neurology and medicine, and four books, one of which on epilepsy and other on human African trypanosomiasis; the obtention of research grants from the French Ministry of Foreign Affairs, WHO, “l’Agence Universitaire de la Francophonie” [the French-speaking Universities Agency], pharmaceutical firms, ECOS-Nord, and COFECUB; the organization of workshops and international congresses in tropical neurology.